This is a compelling tale of two very different women who face a number of life altering decisions. Rosie Dixon is in her early thirties, a single mum who is facing redundancy. Her life completely changes when she wins a million pounds. One minute financially strapped, and then a millionaire. She is shocked at the greed, ingratitude and viciousness of people and accidentally stumbles upon a secret that will change the course of her life permanently. Olivia at the age of 33 takes the new financial world by storm. However when four billion dollars in missing funds is lost on the stock exchange and she becomes broke and flees to her friends in London. She hadn’t realised when she was rich that she was cushioned against so many minor unpleasantries. In order to survive she sells her clothes and jewellery and rents a small shabby apartment and works as a waitress. She then meets a guy called Marcus, who wants to do a documentary on the rich and poor divide and gives her a place to stay as long as he can interview her. How both women learn to cope with their new change in circumstances is remarkable and keeps the reader hooked through a number of dramatic twist and turns by these two very likable heroines that are about to discover a shocking revelation that will change their entire existence. 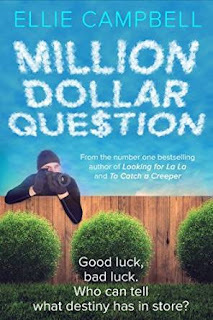 Ellie Campbell has created a good solid plot that’s original with adorable characters’ and I would definitely recommend this book to all readers of contemporary romance. 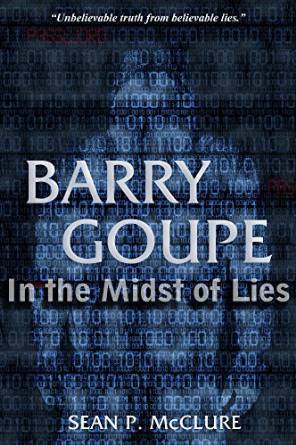 16-year-old Barry Groupe is our main protagonist in this action packed young adult novel. He has just moved to a new town with his parents as they have just got new jobs as janitors at a thriving steel mill. Barry and his parents have an unfortunate life plagued by poverty, where each day is a battle to put food on the table and quite often they all have to go without. Shortly after his move Barry soon becomes the object of bullying from other students who want to humiliate him for being the poor little new boy in school. Barry hates his name, hates his new school and most of all hates that he is too meek to do anything about it to try to make the bullies stop and cannot understand why Evan Victor Edwards, the most popular and richest guy in school comes to his rescue and tries to befriend him by inviting him to hang out with his gang. Barry struggles to get his head around the motive behind Evans friendship and soon suspects there are more sinister motives as Evan is arrested along with his father for suspected computer hacking and selling classified information on to another country. In turn Barry feels compromised by the turn of events and questions his motives for helping Evan. Who is he to prove the Evans innocence? Why does he even care? But it doesn’t deter him from making his own enquiries all of which lead to a series of events where Barry must run from the law and put his own life in jeopardy to expose the shocking truth. 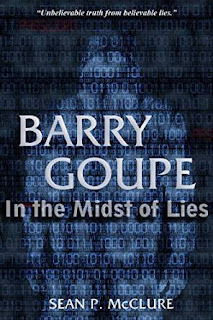 Sean P. McClure has created a genuine heroine with Barry Groupe. In the opening chapters the reader is introduced to a very shy and meek boy who tries to make some sense of the cruel world around him without any faith in God. As Barry grows spiritually while struggling through many trials and tribulations, it becomes clear that his faith grows much stronger towards the end of the story. Many readers will be able to relate to this young protagonist as many of his struggles and weaknesses are very similar to their own. I saw parallels in my life and childhood that I could draw on and relate to easily, it’s almost like you could feel all that Barry felt. All of which leads me to conclude that the author is a master worthy of his craft and I really look forward to reading more of his work and would definitely recommend this book to all YA fans and Christians.